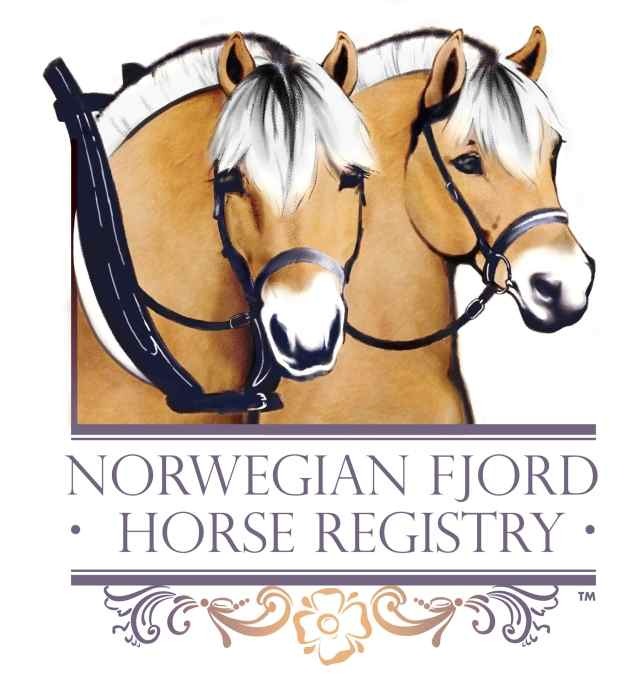 As a norwegian decendant of Norwegian heritage, I have come to love and adore these amazing horses. We are RANVIK FJORD FARMS after my uncle Thor Ranvik of Norway. 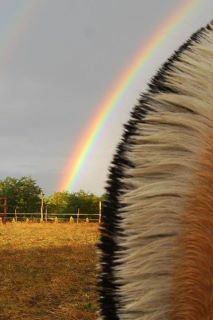 Their Gentle loyal nature sold me on this breed after years of working with, breeding and riding other equine breeds. I currently have 5 registered Fjord mares that we enjoy riding, driving and now on occasion, breed. Our fjords have earned us recognition in our remote area of northern Ontario, by their unique and magestic nature. 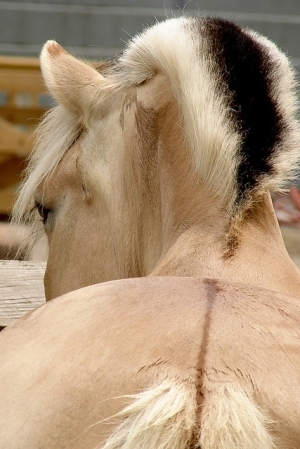 So while you visit to our kennels, feel free to wander over to visit these unique horses, give them a scratch and a pet, as like the goldens, they love attention! TORRIE...My dearest companion and mount...this lovely lady is so affectionate and loveable. First at the gate to greet you and always eager to please and be with you. 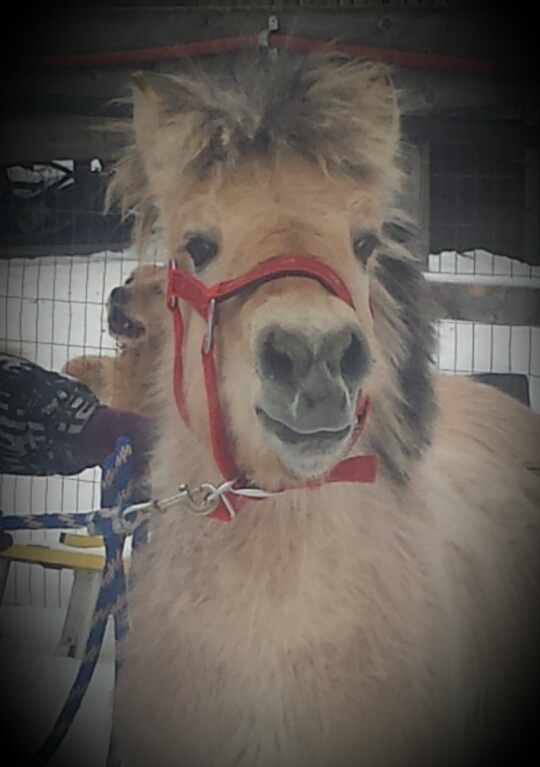 Torrie, like most Fjords is known as a brown dun. Those deep brown eyes are truely the windows to the soal. I acquired this lovely mare spring 2016 from Thunder Bay, Ontario. She is harness broke to buggy, wagons sleigh and horse pulls. She loves to pull and has exceeded in the heavy horse pulls! this sweet mare puts her whole heart into all she does. She aims to please and takes pride in anything I ask of her! Torrie and Sola were called up for an amazing opportunity with Canadian wrangers for a part in the movie DOWNSIZING. Pictured below is these lovely girls on set at the movies I was so proud of these girls as they took in the activities, noises, commotion of the movie business, all in typical Fjord quiet temperament. .Jezzy came to me in deplorable condtion, thin and such sadness in her soft brown eyes. I rescued her from a meat truck, brought her home and built her trust. She is such a mellow sweet girl that despite her rought start, has stolen the hearts and love of all who meets her! Meaning morning star. This little mare has a charactor all her own. At first she may seem grumpy, but she is worth her weight in Gold..she has taught many children to ride and she puts her whole heart in all she does to please us humans. She has been shown in western, games, english and jumping and impressed many who had never seen this fabulous breed. Danieka now is loved and owned by a very close friend Sherry Livingston and remains here with all her Fjord friends forever! This lovely mare joined our herd July 2017 with her sister Sequoia. 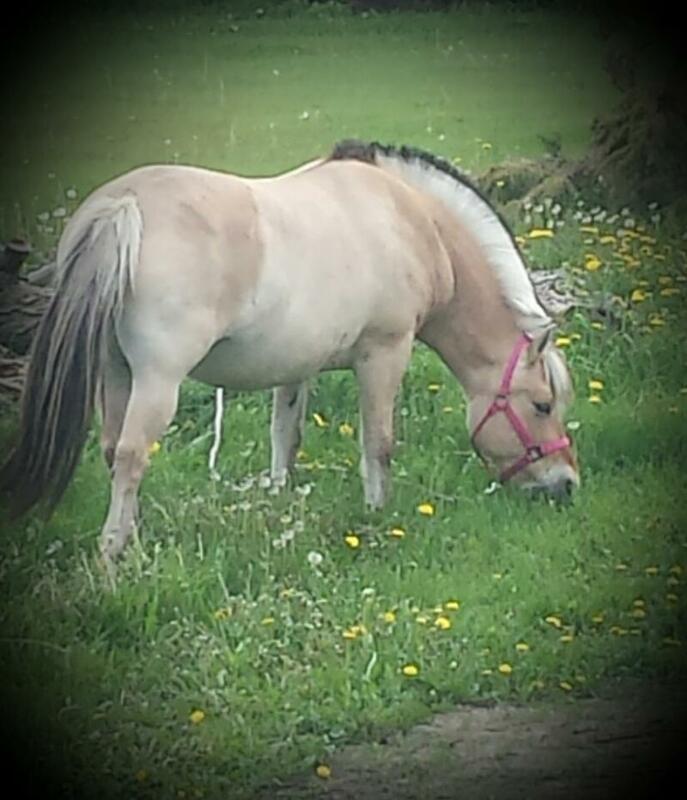 She is registered with CFHA and is true to the fjord nature. She is currently continuing her training under saddle and has done fantastic under harness. She competed in team pulling summer 2017 and along with Sola, earned some recognition at the local fair for this unique and beautiful breed. Sierra pictured below on left with Solas. Sierra is now owned and loved by Sandra Pink from Barrie area. My sweet Sequoia is such a sweet mare who adores people, and whos eyes follow you out in the pasture wating for recognition, a pat or a treat. Never pushy, just a quiet demeaner with the softest eyes ever. 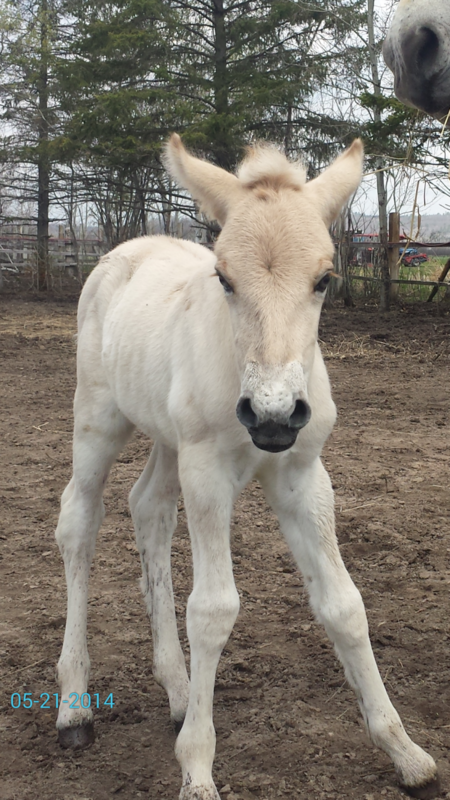 Below is Ranvik Karina, our first born filly in 2014 out of Jezzelynn and by Rubias. Maliina was born here at Ranvik farms, out of mare Tekla and our stallion in 2015 Rubias. 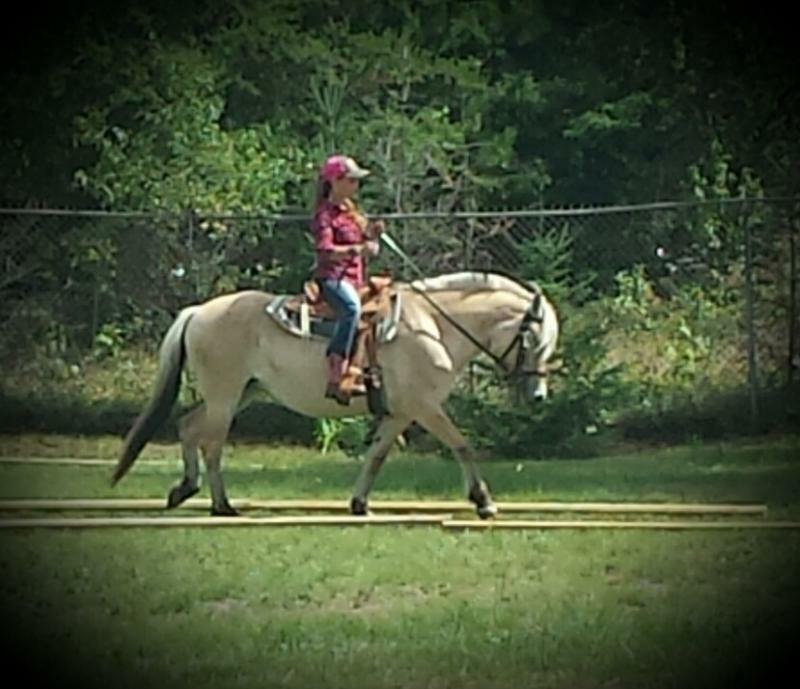 Maliina now owned and loved by long time friend Shelee Scoville who has this young lady in training and doing so well. Maliina has a character all her own, with a zest for life and curiousity that gets her into some trouble! Our past red dun Fjord Stallion, sire of Maliina, kariina and Aspen. He as a big boy that we were able to ride and drive, but his job as a stallion was his favorite job! Copyright 2010 GoldenPride Kennel. All rights reserved.